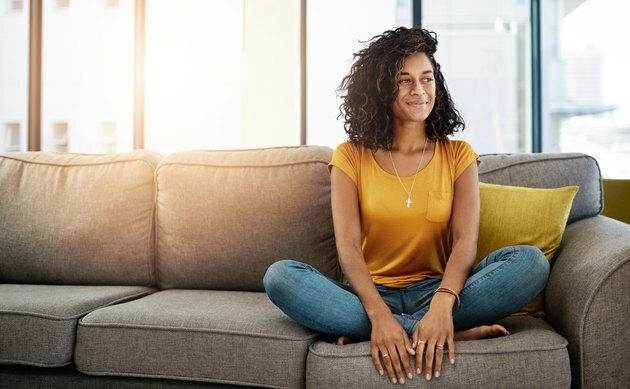 If the middle sags or the feet are bent and twisted, then the couch you call home for binge-watching the latest trending TV show needs a makeover. Fixing a broken couch with the correct tools and supplies can prolong its plush life. Depending on the problem, tackle the creaking, slumped or sagging couch in an afternoon and you'll be sitting pretty by nightfall. 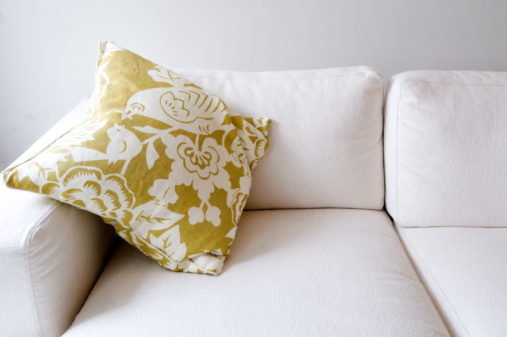 If you aren't entirely sure why your couch wiggles when it shouldn't or collapses when made to perform its usual comfort-based duties, you need to do a thorough study of your sofa's structure. Toss the cushions gently into a corner and give them a good cleaning while they're separated from their long-term resting area. Check the cushions for sprung springs. Unzip the cushion, if possible, and inspect the inside for padding or spring issues and fix those if you plan to keep the couch. If it's not the cushions that are causing the couch to look as if it's dipped in the middle in a Cheshire grin, then the best thing to do is to flip it on its arms and give it a good inspection. If a rod or wooden dowel is bent or splintered, you'll need to replace it because it's ultimately going to put the structural integrity in peril. The bigger the bend in the bottom structure, the better it is to fix or replace those rods that hold up the structure of the couch. A small bend can possibly be coaxed back into place. If the bend is severe, you may need to contact the manufacturer and ask for a replacement part or craft one yourself out of metal or wood from a big-box home improvement store. Often, a couch just needs a good lift for its aging base. A strong, thin and durable piece of plywood cut to fit the dimensions of the couch can help it keep its even keel. A sheet of foam placed on top of the plywood and under the cushions can add a layer of comfort. Once you have the couch with its bottom up, check for a tag or sticker with all the information on it, from model number to the manufacturer. Hopefully, a toll-free phone number to call for parts or service will be easily visible; otherwise, you'll have to do an online search to replace parts. The rods and frame parts that run under the couch should be bought from the original manufacturer when possible. If the manufacturer is less than helpful, measure the pieces that aren't able to be replaced and build them yourself.